This printable sign is for people who are allergic to wheat specifically. It features a big bundle of wheat grain to show that no wheat is used in a meal or the kitchen where the meal was prepared. 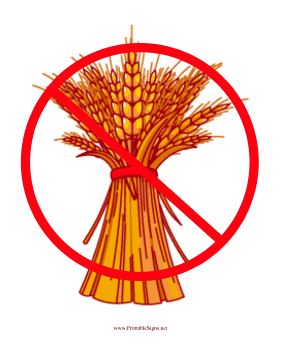 It should be displayed in schools, cafeterias, restaurants, and any place where people with wheat allergies might assemble.